With spring arriving and the change in weather, I try to turn to some of my favorite light, healthy lunch recipes. 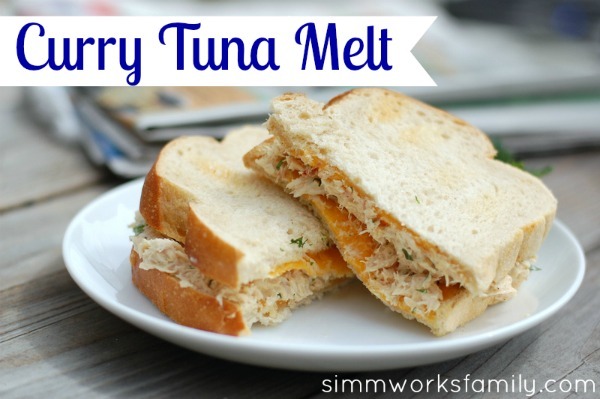 One of my favorite recipes is this healthy Mediterranean tuna salad. By cutting out the mayo and subbing olive oil instead, this tuna salad is not only light and refreshing, it also has fewer calories in it as well! The best part is how versatile it is! Don’t have basil? Try another herb you do have. Don’t like onions? Try another flavor! To spruce it up for the kids I decided to make these healthy Mediterranean tuna salad pinwheels. I simply wrapped up the tuna salad in some whole grain tortillas, layered some greens and fresh tomatoes from my garden, and piled on the tuna salad. The results? Delicious! And I’m fairly certain the star of this recipe is the tuna. Mix together the first six ingredients in a small bowl. Set aside. Grab the two tortillas and layer a piece of lettuce onto each one. Then add a few slices of tomatoes (about three on each tortilla). Spread a bit of the tuna salad onto the middle of the tortilla. Roll up the tortilla tightly. Secure with toothpicks and cut into rounds, using extra toothpicks in each individual pinwheel. Not only is this a fabulous lunch for the family, it’s also a great appetizer for any parties coming up. Simple and easy to make, guests are sure to love the fresh, delicious flavor of these pinwheels. What’s your go-to healthy lunch recipe? Every Friday during Lent I scramble for a great alternative to our usual meat filled lunches. Usually I have a salad with grilled chicken and I make the kids a sandwich, leftovers, etc. But in an effort to stick with meatless meals I turn to fish to make sure my kids are getting the protein they need. I’ve recently been really lucky with my garden and have a great supply of celery, green onions, and cilantro. So I’ve tried to find various ways to use them up. I started to think of what cuisines uses these different ingredients and how and immediately I thought of Indian food. So I grabbed some curry powder, picked some veggies from the garden, and started mixing. What I ended up with was a delicious dish that is sure to make any boring lunch into a great one. The kids even enjoyed it and split one amongst themselves. They were even more excited about the fact that we used the veggies from our garden to make the sandwich. I’ve been pretty bad about keeping the cupboards stocked lately. I started to get lazy when it came to dinner planning and have been making sandwiches or eating what’s in the freezer to make up for it. So when Lent came around I was not prepared for a non-meat dish for dinner. 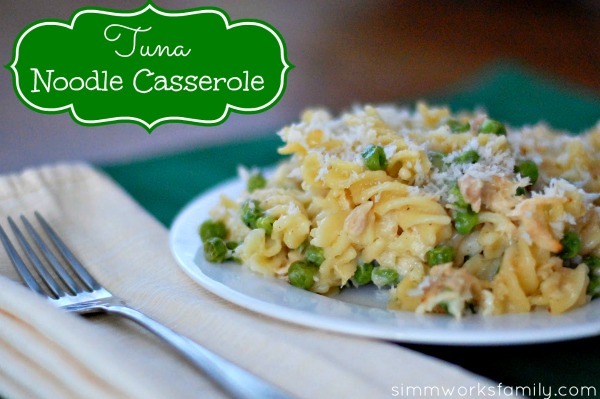 But I didn’t have to worry… we always have the ingredients on hand for tuna noodle casserole. It’s a family favorite. Only we were out of cream of mushroom AND cream of celery condensed soup. So I went in search for an alternative. It was about time. I mean… really… I, er, we don’t need all of that extra sodium and additives. Plus I’m sure I read somewhere about canned stuff being bad. Or was that just for veggies? Anyway… I only had 30 minutes until everyone under the roof starved and was already starting to get complaints about hunger pains so I searched the web until I found a recipe that sounded tasty and didn’t include canned soup. This recipe is a winner! And I love how versatile I can be with the veggies. Next time I’m going to try some spinach. Delicious, nutritious, and the kids liked it. Added bonus.